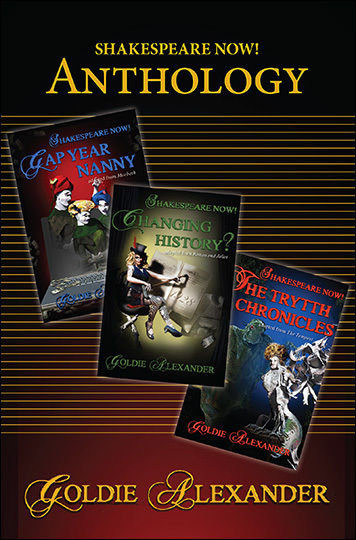 Comprising her three separate novels - The Trytth Chronicles, Gapy Year Nanny and Changing History? Three modern adaptations of well known Shakespeare plays (The Tempest, Macbeth and Romeo and Juliet) using contemporary settings and feisty female protagonists. Particularly love the sound of the Gapy Year Nanny - congrats again Goldie! 200,043 AD. The Hatchlings live in tiny cells, only communicating via their avatars. Pya narrates how ComCen sends them back to the mid 21st century, where they meet Rio and Charlie. But can these youngsters survive this dangerous world? Sounds fascinating - as per all Goldie's books! When tragedy strikes, Kai and Bilby G are thrown into a journey of self-reflection where they must explore the real meaning of trust, love, family and forgiveness. Best of luck with it Goldie! In 1954, following WW2, the Cold War sees suspicions running high - the threat of communism and spies are imagined in every shadow. Melbourne Jewish schoolgirl Ruth is trying to navigate her own path, despite her strict upbringing and the past that haunts her family. A path she wishes could include her first love - rich Catholic Patrick. But he's strictly off limits. Sounds a winner as well - congrats once again Goldie!